It is really great to see that so many countries have their special reading campaigns: American readers have Get Caught Reading, Canadian book lovers get excited over Canada Reads, and Australia celebrates reading with Get Reading! It’s a great way to discover more about a country’s writing heritage and contemporary authors. We want to make sure these initiatives are taken beyond the physical borders of their country and help our members discover some exciting new writing. 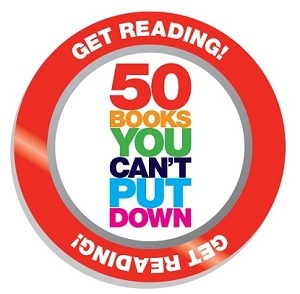 After all if you are really into books and live in the 21st century you can access books from many different markets, almost instantaneously, so why not start right now and right here and plunge into the selection of Australia’s “50 books you can’t put down”. This year’s selection features Australian titles only but it has something for everybody: there are great mysteries, some fantastic literary fiction, and there is a great selection of young adult, young reader and kids titles. With the Olympics just past, now is a great time to get inside the heads of some Australian sporting heroes with a great selection of sport biographies. View the complete list of titles, read the descriptions and dip into a couple of sample chapters! So no matter where you are in the world come and join the Get Reading! Book Club. Post a review or a comment about any of these books on the site and you will qualify for our weekly draw for great packs of fantastic “Get Reading” T-shirts and books! Discover Australia! Discover Great Books! Get Reading!